We’re delighted to announce that we have partnered with a fantastic distributor in Ireland. 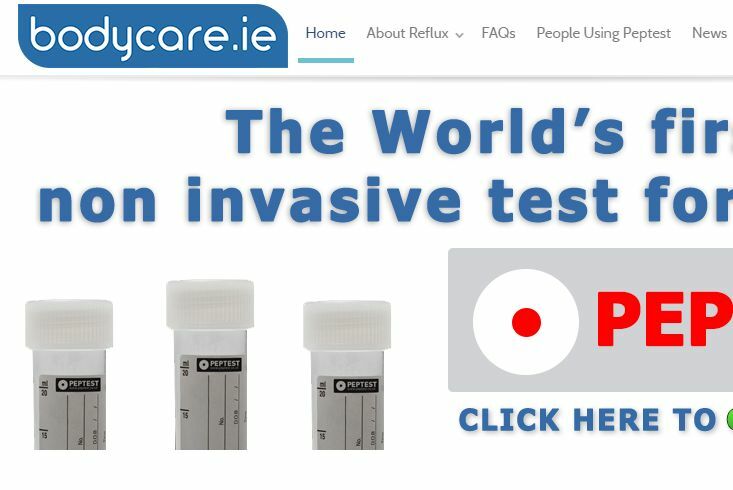 Bodycare.ie, a company with more than 35 years’ experience in the Irish healthcare sector, will exclusively market and sell Peptest in Ireland. Professor Peter Dettmar, our company director, teamed up with Bodycare directors Paul and Paraic Kavanagh to officially launch Peptest in Ireland at the recent Irish Society of Gastroenterology conference held in the Killashee Hotel at Naas, County Kildare. To order Peptest in Ireland as a medical professional you can order online here, call +353 1 816 4792 or send an email via info@bodycare.ie. If you want to get yourself tested, you can also make an order online. Three small collection tubes and instructions will be sent to you by post. You collect three small saliva samples over one or two days and send them back in a pre-paid envelope. Your results will then be emailed to your doctor. Peptest is now available in 21 countries including China, Spain, Italy, France, Portugal and the UK.